Best beaches in Puglia: Discover the beaches you cannot miss in Puglia! 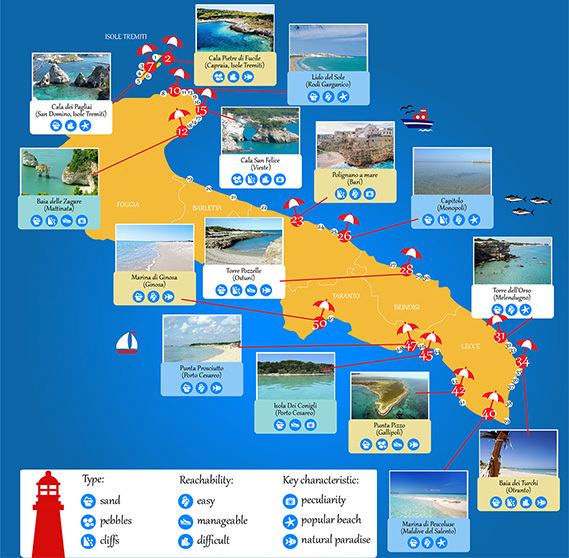 the top 50 Puglia beaches labelled by type, reachability and key characteristics. Want to read more about Puglia? Make sure to check out our site Charming Puglia, or to visit one of our other websites.